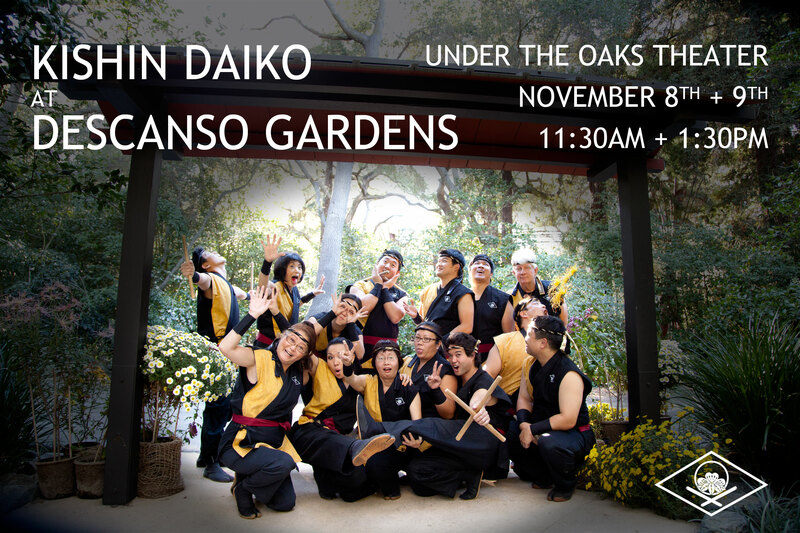 Join Kishin Daiko this weekend as we play under towering oak trees in Descanso Gardens! There are performances at 11:30am and 1:30pm both Saturday and Sunday, November 8th and November 9th, 2014. More information regarding the festival and the gardens can be found here.